Get inspired and enlighten by viewing our collection of extensive, motivational, and the best Spiritual Quotes and Sayings by www.boybanat.com for you and to share with. If you have your own favorite Spiritual Quotes and Sayings even in Tagalog / Pinoy, we would love to hear it, simply add a comment below or just email it to us with a subject: spiritual quotes, and will posted up for you. Hope you'll like it! we have within us to hold it together. and know you are not alone, He is with you. stay late and leave the gift if God’s peace, love, joy and good health behind. Faith and Prayer are invisible, but they make impossible things possible. It’s God’s part to do the wonders, ours is the simplest: to trust and pray. Each person is God’s gift to the world. Nobody is nobody in God’s eyes. Sometimes we don’t like the gift’s wrapping. See what’s inside – A priceless person – YOU! May you forget your pains, Forgive those who have wronged you. May you renew yourself with the love of God. Be happy with what you have…while working for what you want. Remember, a happy and successful life begins with God and ends for God. It converts the hateful thoughts into clean, kind and pure breath of the spirit..
and in the end...they're all the same guy. the principle of all our affections, and the governing power of our whole souls. When was the last time you laughed for the sheer joy of your salvation? People are not attracted to somber doctrines. see your joy and you won't be able to keep them away. To be filled with God is to be filled with joy. when actually what God wants is just simple obedience and faith in Him. When our human strength gives away, there is an arm that never gets tired. God is holding you and He won’t let you go. He will walk with you, talk with you and carry you. since average things produce average results. who meets all our needs and will never forsake us. it only matters where the pressure lies. the more it presses you to His breast. to emphasize each persons purpose for living;and that is to give love. 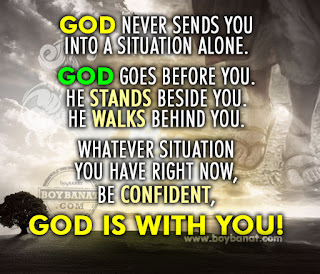 God never sends you into a situation alone. God goes before you. 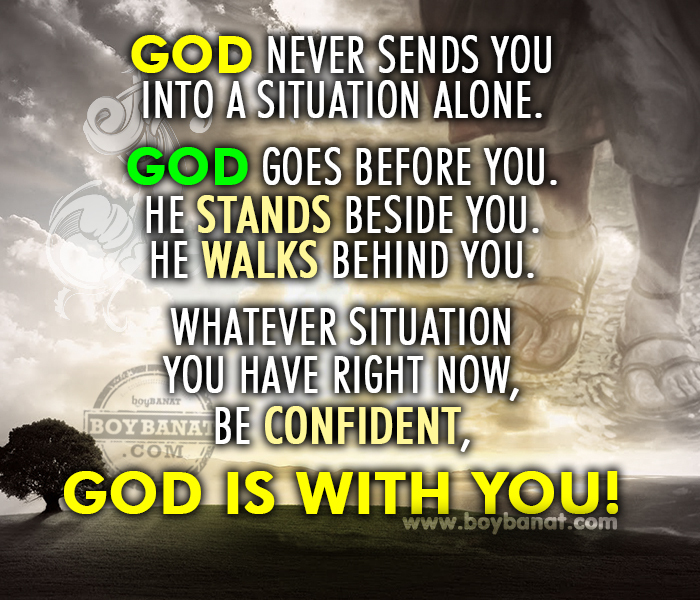 He stands beside you. He walks behind you.